Hitting the gym to lose weight is something that over 75% of the gym community is seeking to do. The other 25% are looking to add weight in the form of muscle. But if you’re a new person to the gym scene, it might be intimidating to you. You have no idea what to do, and you have no idea what will work best for you. Did you know the stair machine or just running up stairs is one of the best cardio exercises in existence? It involves almost a full-body routine, and you’re really pushing with your legs to climb in elevation. It’s estimated that you could lose 500 calories or more per hour with moderate intensity of this exercise. Compare that to the estimated 350 calories burned per hour on the cycle machine, and that’s quite a bit more. These machines might look pretty goofy to most people, but they involve so many different parts of your body that you’ll be burning up to 600 calories per hour with moderate intensity. The rounded motion that you ‘run’ in allows for maximum impact on your legs, allowing for a deeper burn than just running or cycling. If you’re looking for maximum caloric loss, going on the elliptical for an hour or so will burn that dinner that just had right off. 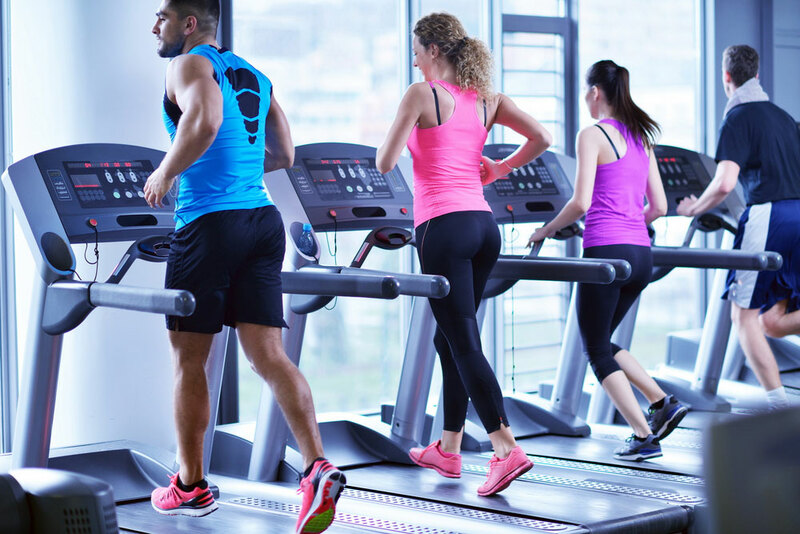 Most people who run on the treadmill just run in a straight line the whole time, and this is definitely a really good workout. But did you know that running at an elevation will increase the calories burned by up to 200? This all depends on the intensity, but that’s a lot more calories per hour burned. Swimming is perhaps the best cardio exercise of the bunch. This is another full body routine that burns a hell of a lot of calories. And because of the resistance in the water, you’re having to work extra hard to move yourself through the water. The best part about this exercise is that you’ll never sweat when you’re swimming through cold water. I personally love swimming, and hate being hot. Why not help both! So if you’re looking to shed fat fast and burn the most calories possible, these 4 exercise will help you get there in no time.